SWAT officer Ben Crewes has never forgotten the mystery woman whose voice comforted him in the night after he was shot in the line of duty. A voice he never managed to connect with a face. Warning: An officer who’s cool under pressure, a woman who blows that cool all to hell, and a fender bender that leads to an exchange of more than just insurance cards. This is a book based on an interesting starting point, and develops well as they meet again. Ben's friends were good foils, and in the end, Nina's father was the one who made all the difference, in spite of all the negativity that had been suggested before. I think that the fact that they both had dangerous jobs, and were strongly independent worked well, and of course, knew more than most about each other. For some reason I felt it could have drawn me in further, as their lives weren't painted in quite as much detail as I like in places. Maybe if we had had some of that original conversation that would have filled in my gaps – and, in fact, is possibly why it wasn't mentioned very much later. Overall a good way to spend an evening, enjoying someone else's romantic story. For reviews & more info, check out our Giving It Up post. 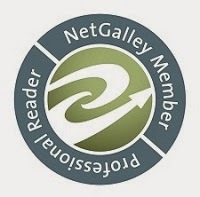 Reviewers on the Wicked Reads Review Team were provided a free copy of Remembering You (Pushing the Boundaries #0.5) by Audra North to read and review.